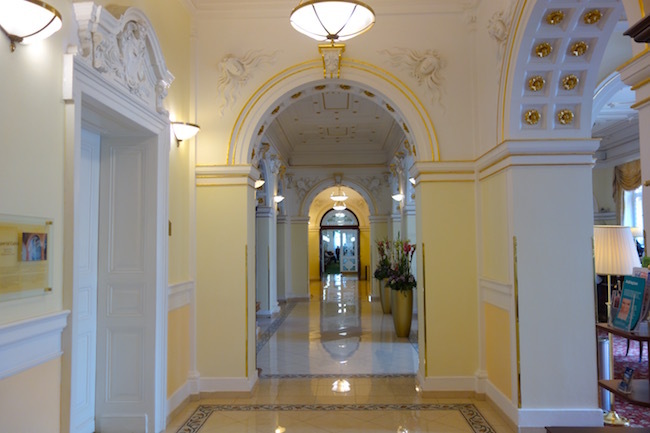 The young Czech driver insists on accompanying me to the reception desk at the Nove Lazne Hotel where I’m checking in, and explaining to the front desk clerk what happened. I don’t understand Czech, but I appreciate the staff members clucking around me maternally. 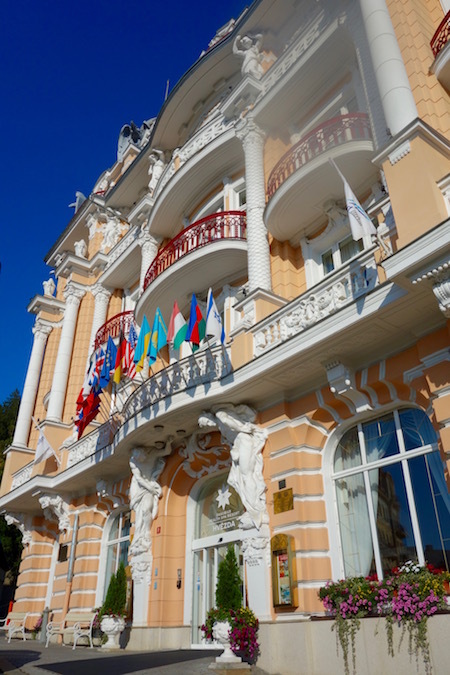 Luckily, since I have an appointment with the hotel’s spa doctor anyway, within five minutes I’m having my head checked out in a beautiful historic hotel in the Czech spa town of Marianske Lazne, also known as Marienbad, one of the loveliest spa towns in Europe. 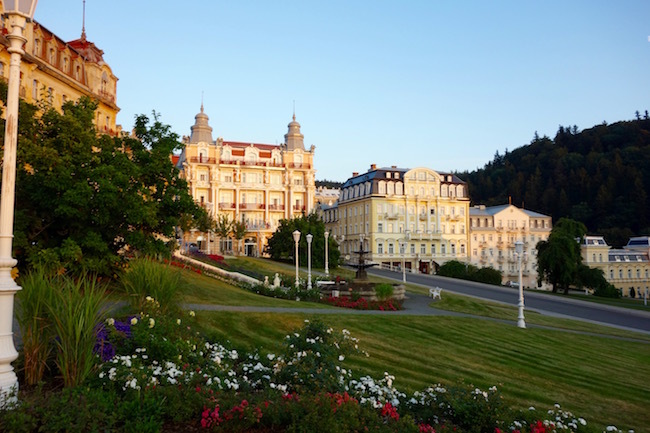 Located in the Bohemian region of the Czech Republic, near the German border, Marianske Lazne was once patronized by the rich and aristocratic. 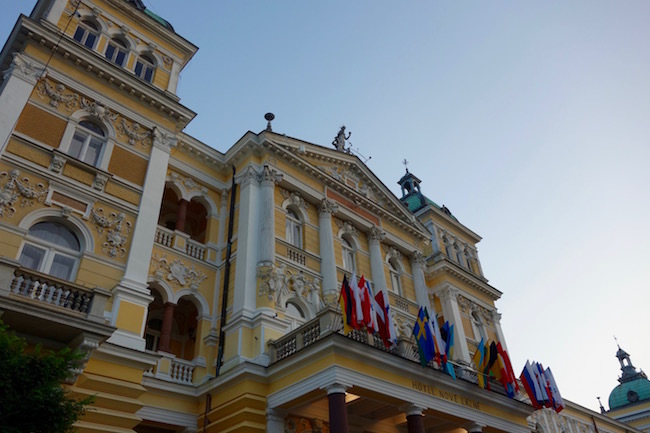 Today, while those same grand buildings have been updated, the focus is still on the traditional spa cures based on the town’s abundant mineral-rich springs and natural CO2. After seeing the doctor I flop on my back on my bronze-and-golden bedspread and think how lucky I am to be staying here. 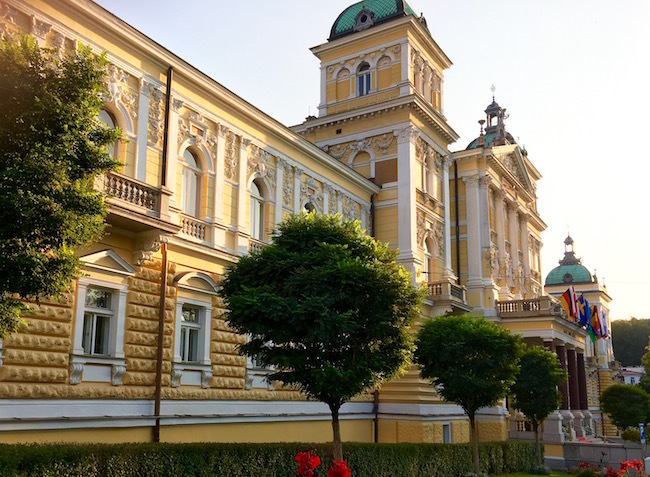 Reconstructed in 1896 from an older building that dates back to 1812, Nove Lazne is one of the most prominent landmarks in Marienbad. This just makes the fact that I’m sleeping in a bathroom so much sweeter. Let me explain. 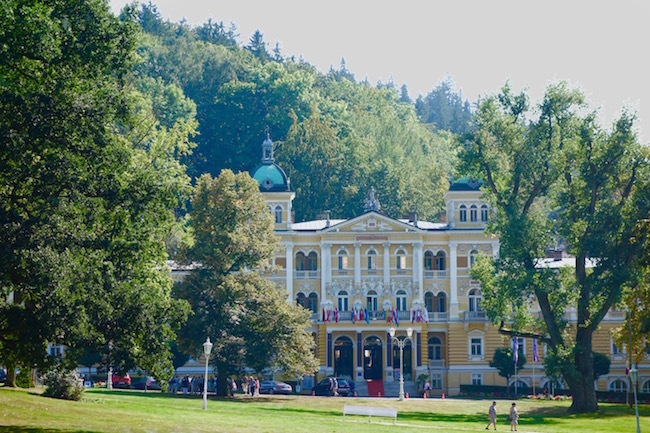 Nove Lazne, which means New Spa wasn’t built as a hotel but as a bath house. The rooms weren’t hotel rooms they were bathing cabins. Leisure facilities are extensive at the Hotel Nove Lazne. 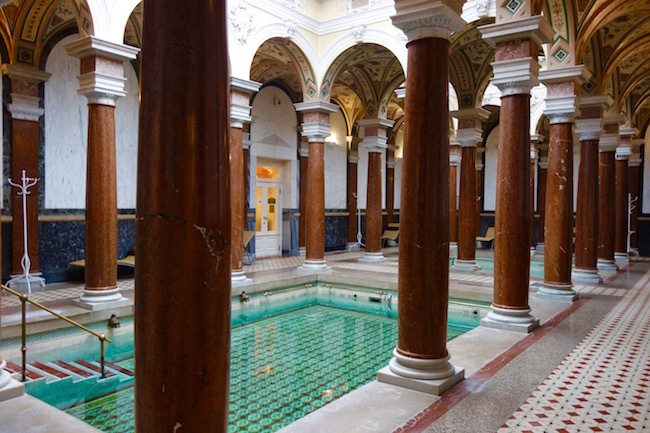 On either side of the Roman Baths is a modern sauna room, one where bathing suits are required and one where they’re forbidden, and I only got in trouble once for going into the clothing-free sauna with my bathing suit on. That’s because the bathing-suit-free side has an irresistible cold plunge pool that’s such an icy shock after the sauna you feel as if you’ve just eaten your own heart. 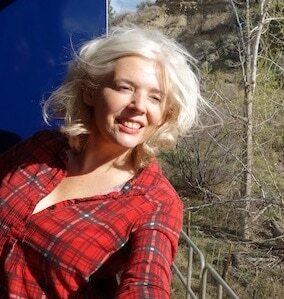 And then you feel wonderful. There is more to do here than spa. 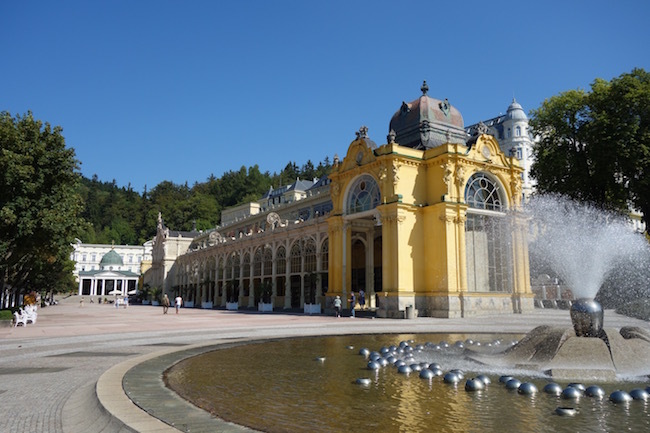 Check out things to do in Marianske Lazne. We need to do a couples’ trip to Marienbad, Becky. Sounds amazing Carol. I would love to do this. I can totally see you enjoying those Roman Baths, Carmen. What a luxurious vacation. I think I need it, too! You must be stress-free now! Thanks, Etsy! I agree, a Czech spa is a unique experience. Wowwwww I’ve been to a lot of spas but they don’t even come close to what you’ve experienced here! This is truly exquisite and looks made for royalty! Hi Alex, Thanks for writing. There is nothing like a massage for aching shoulders (unless it’s a gas injection, haha.) Yes, the nurse injects the natural CO2 just under the skin. 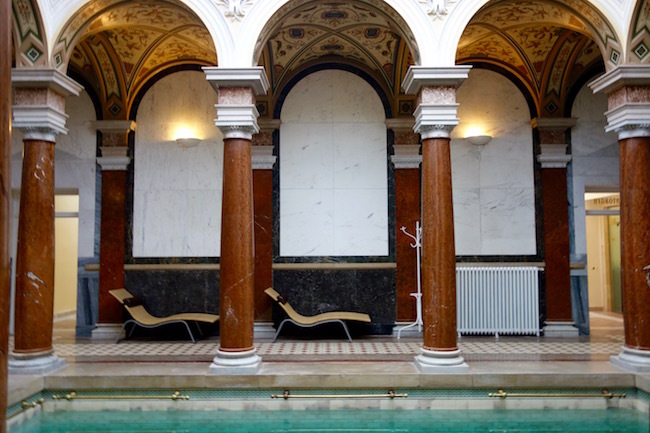 I think I’m going to write a post just about Czech spa treatments since there are so many questions about them! Yes, the full comprehensive spa package isn’t for everyone, Robson. 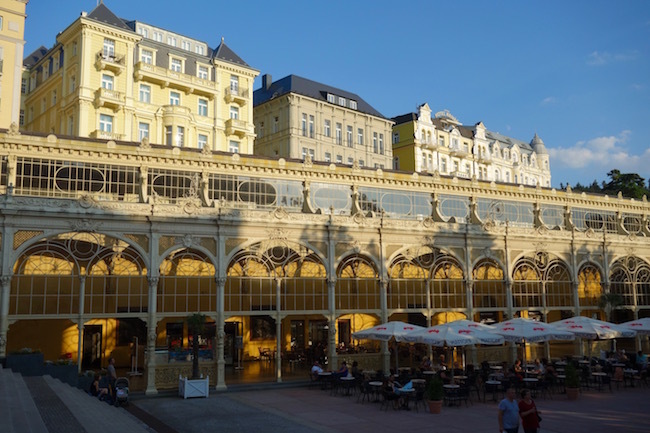 I considered the 3-night Royal Spa Package as well, it would be a lot of fun as you get to have a bath in King Edward VII’s private bathing suite. 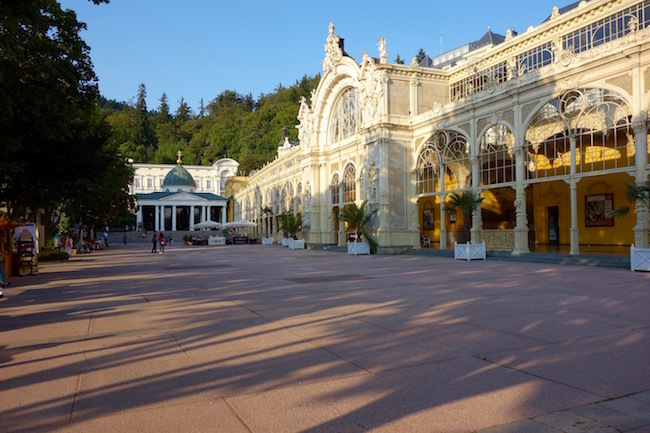 Marianske Lazne is a great escape, Claire. It’s so pretty just to walk around from fountain to fountain. 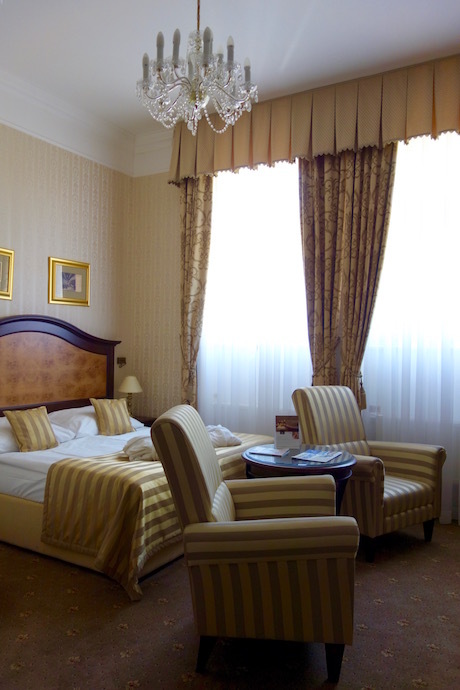 The Nove Lazne Hotel was lovely, and I like the Hotel Hvezda a lot as well. I’m glad I could open your eyes to the wonderful world of Czech spa culture, Megan. 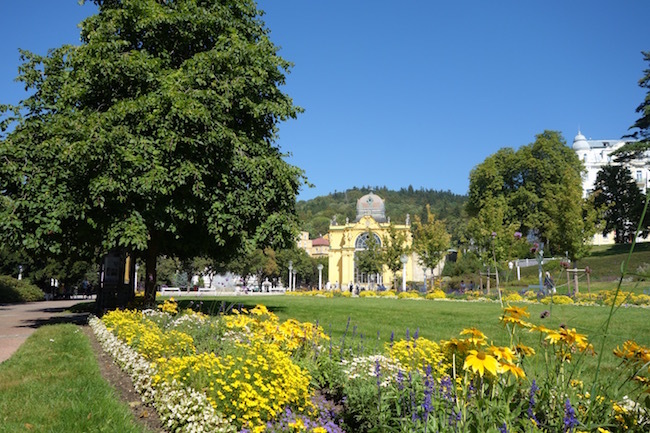 Treatments in Marianske Lazne and other Czech spa towns are very short, so it doesn’t take all day, Christina. So yes, you’re meant to have that many procedures if you’re doing a comprehensive spa stay, but if you don’t want to, that’s perfectly fine, too. 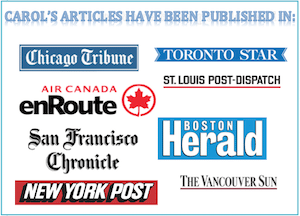 Usually treatments are done in the morning, you have afternoons to sightsee, read, walk, etc. Well, this is just gorgeous! We were in the Czech Republic just the other month and it sounds like we missed out. I would have LOVED the King Edward bathing experience. For what it’s worth, I once tripped over absolutely nothing in the middle of the day in Galway, Ireland, and battled it out with the pavement in front of a group of grannies. The concrete struggle is real! This is a useful guide on how to tackle a spa town. It actually sounds rather daunting! Especially being “gassed”. I didn’t realise you’re meant to have so many treatments in a week. Is that normal or are you super keen on spa treatments? For the baths and massages I’m in. CO2 injections I’ll skip. 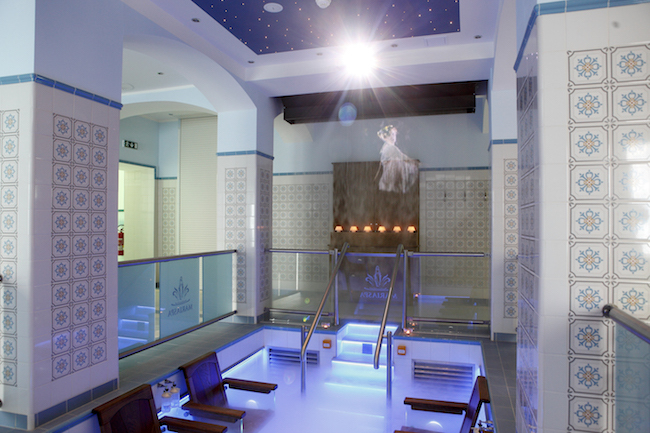 :o this spa looks divine! Totally reeling with envy right now as I massage my aching shoulders. Not sure about gas injections, though. I had no idea those existed… it’s literally injecting carbon dioxide with a needle under your skin?